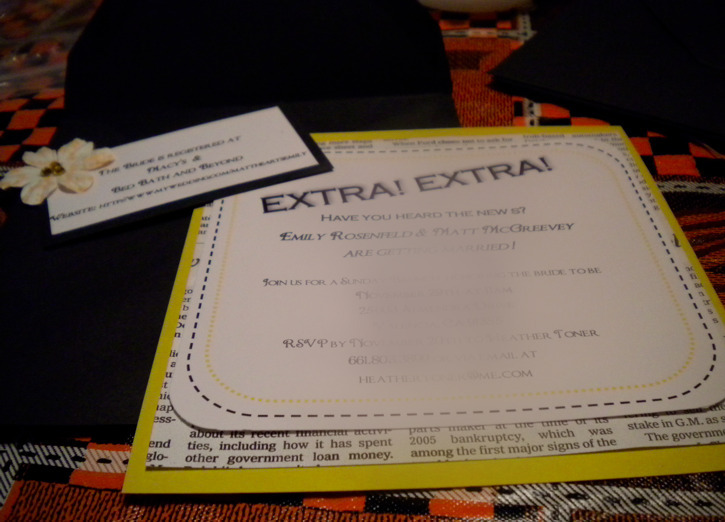 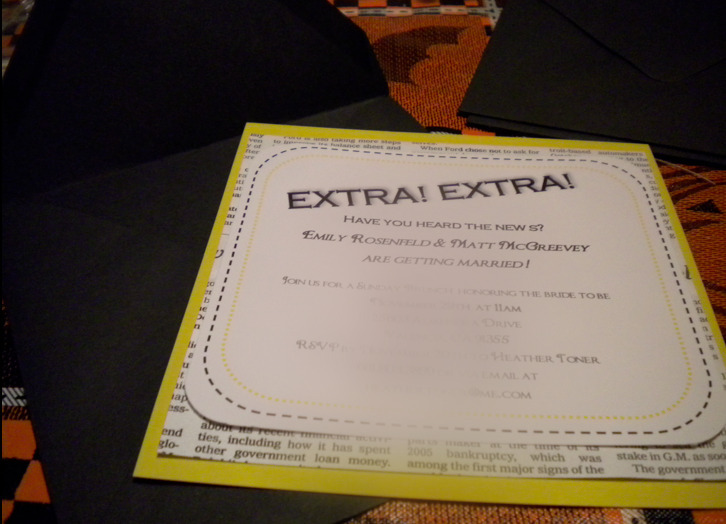 Since it’s a Sunday Brunch theme, I used newspaper to frame the invite. 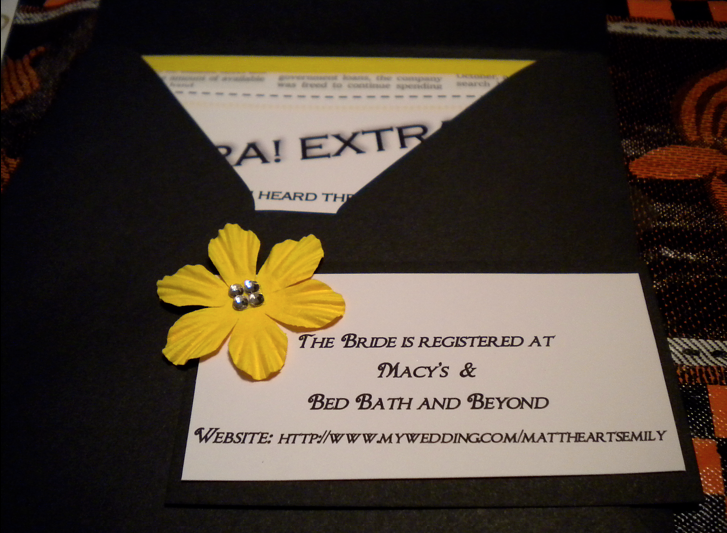 And each of the envelopes contained a card with registry information, embellished with a sparkly paper flower! 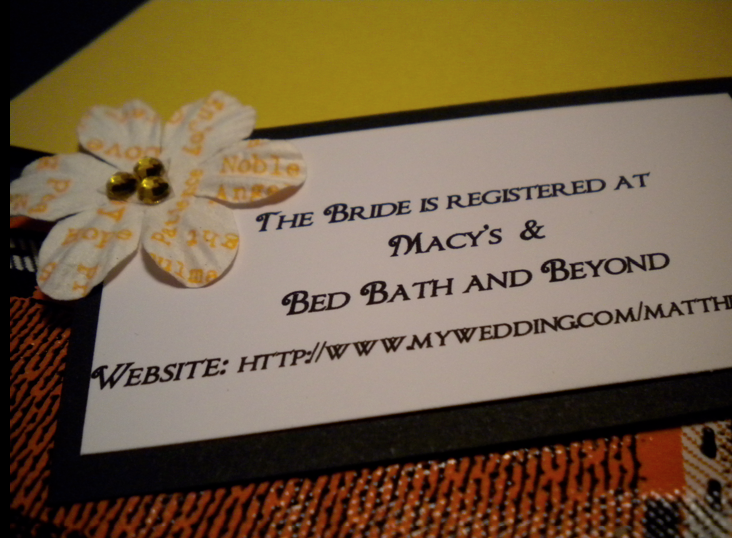 Each one was different shade of yellow or yellow pattern. 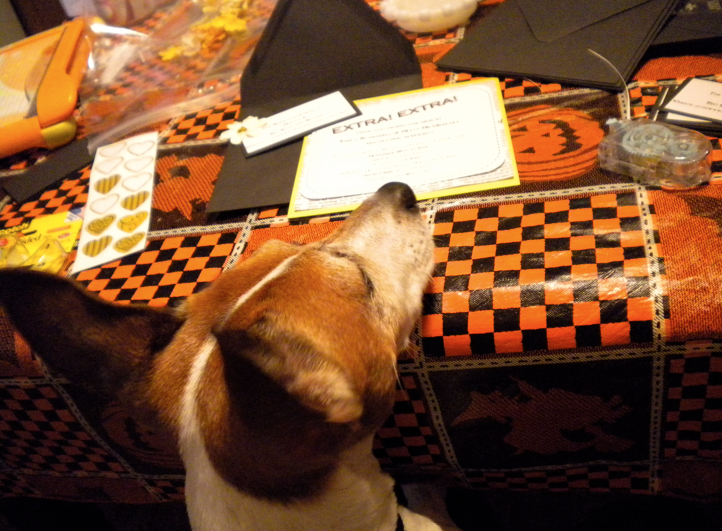 Even my parents’ dog Max tried to help in putting them altogether, though honestly he wasn’t much help.